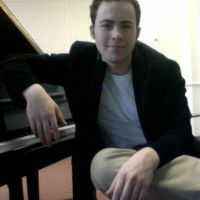 I am an accomplished accompanist currently pursuing my Doctorate at UCSB in collaborative piano! I have my undergraduate degree in piano performance from New England Conservatory where I studied with Russell Sherman, Gabriel Chodos. I was an assistant vocal coach and accompanist at Westminster Choir College while working on my Masters program so have experience accompanying and working with singers. My repertoire is extensive and I know many major works, sonatas, and bigger chamber works. I have accompanied musicians at various music festivals in the US and in Europe and currently study collaborative piano with Robert Koenig. I also am an organist and have experience accompanying choirs and church services. Please contact me in whatever way is convenient for you if you are interested in my services.